Shipping: $5.75 for first unit. $2 added for each additional unit. 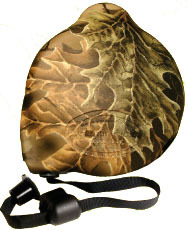 Diameter: 4 1/2", Depth 1 1/2"
Belt clip: 2 1/4" by 1 1/4"
Same great features of the Model 230, as well as camouflage! 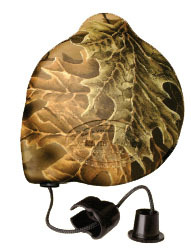 Same great features as the Model .5w30 with a camoflaged design! 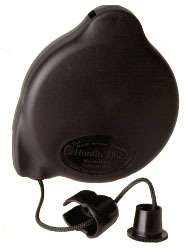 The cinch is designed to transfer the load to the rope. The rope conforms to any shape and cinches tighter as more energy is applied to it. 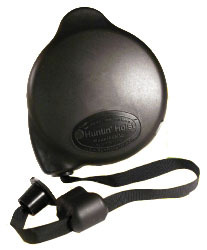 Receives a 1/8" diameter rope or a 1/2" wide strap.